One of Spain's finest whites. Aromas of apricot and honey with and scintillating acidity and mouth watering flavours of citrus fruit and crisp apples. Thoroughly refreshing and a great food wine. Bodegas Fillaboa is owned by the Masaveu family, who trace their winemaking history back to the 14th century, almost the beginning of Spain’s wine tradition. Since the founding of the D.O. Rías Baixas in 1988, Fillaboa, meaning “the good daughter” in Gallego, has produced some of the rarest and highest quality Albariño in the region. 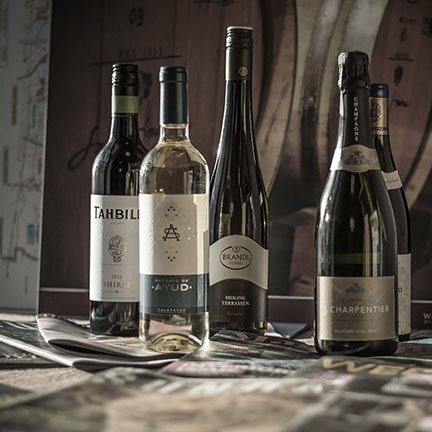 Albariño, known as the “White Rhine,” because of its similarity to Riesling, is an indigenous grape varietal to Spain and quite a recent discovery. 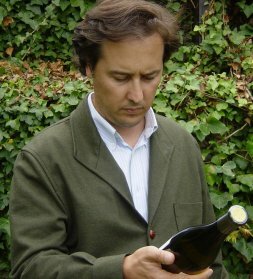 In the early nineties, Hugh Johnson described it as 'perhaps Spain's most exciting new kind of wine', and it now has a dedicated following due to its unique and complex flavours and texture. Fillaboa is recognised as a highly prestigious identifying mark of Galicia, and it is a delicate and complex combination of the purest craftsmanship and careful use of technology that has placed them at the top of the range in the winemaking world. Rias Baixas enjoys an Atlantic climate, with mild temperatures and heavy rains, and for this reason is known as the 'Green Spain'. Fillaboa is one of only a few producers in this area making wine exclusively from grapes grown on their own estate, leading Tomas Clancy of the Sunday Business Post to describe it, rather intriguingly, as a 'handcrafted, wickedly piquant wine'. "The vineyards are a single estate, with varying soils and parcels. The attention to detail is meticulous, from handpicking to the pristine elegance of their cellars. The wine is gloriously complex, fruity and even spicy on the nose, then green and crisp with a hint of lime generosity, before brightening and lifting to a lip-smacking finish." "A superb expression of a grape that has made a lot of friends over here. Impeccably balanced, a firm backbone with just the right degree of ripeness, apricot fruit and a clean, mineral-ish finish. Paddy was one of the first to recognise that Spain was becoming a source of brilliant whites at decent prices." "An interesting chalky mineral note adds complexity to some zesty citrus and subtle pear." "Engaging perfumed nose with floral notes. Heavyweight mouth-feel, a whack of pear fruit energised by strong balancing acidity." The climate is Atlantic, with wet winters and sea fog. In general rainfall is high and the temperatures mild. In general, maximum temperatures in summer rarely usually exceed 30 °C and only drop to 0 °C in December and January.